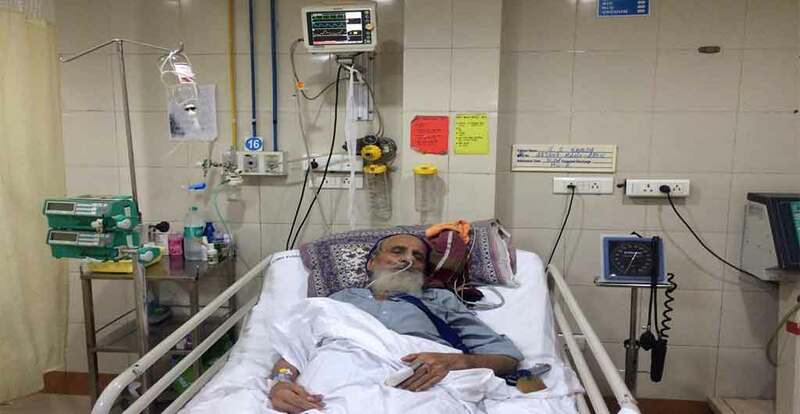 Jathedar Bapu Surat Singh Ji Khalsa has been unconscious since last night and was admitted to ICU unit 2 bed 16 at Dayanand Hospital and College, Ludhiana. Dr. Deepak is forcibly trying to remove Bapuji’s kakkar-Sri Sahib to do MRI, but this is against his personal wishes. Bapu Ji had earlier written a note that if he was ever unconscious – he shouldn’t be treated or force fed, and they are removing his kakaars. This is the time for the Punjab Government to step forward and grant permanent releases to Sikh political prisoners.